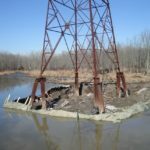 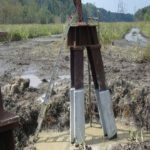 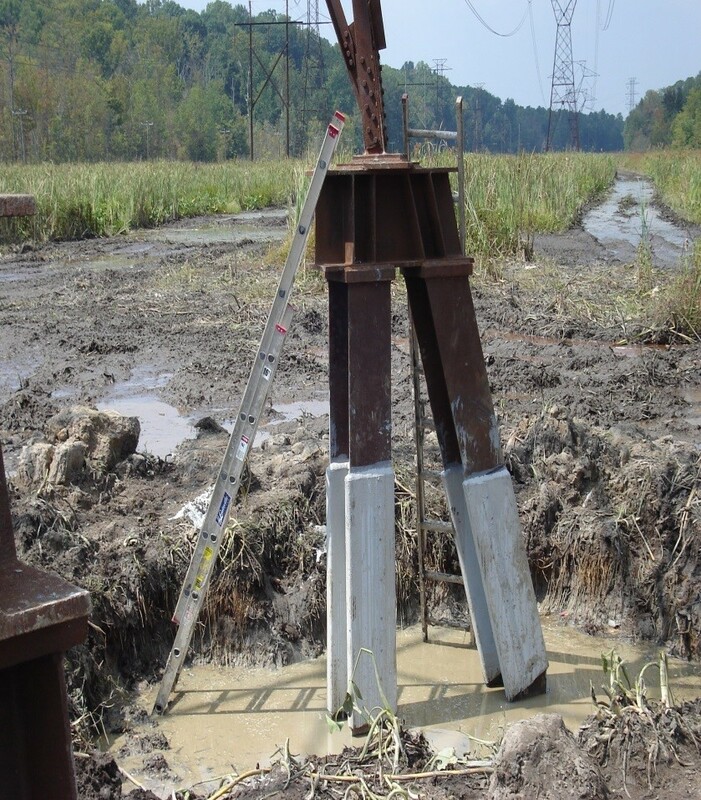 Crofton Industries was contracted to perform structural steel repairs to the foundation piles for transmission towers over a 25 mile stretch which crossed through various swamps and marsh lands along the Chickahominy River basin. 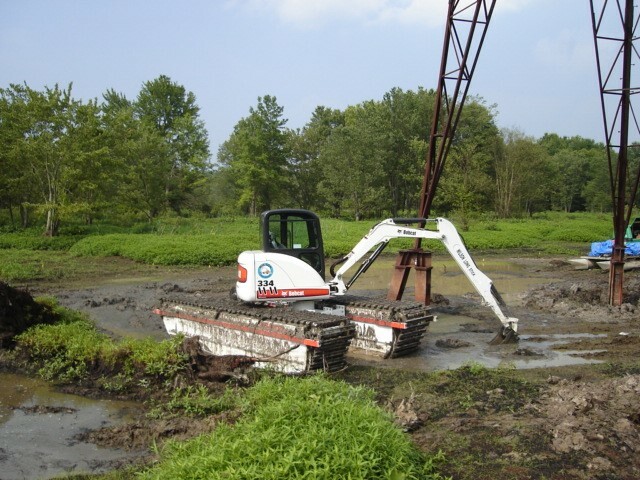 Crofton used specialty marine equipment for this project in order to access the project sites. 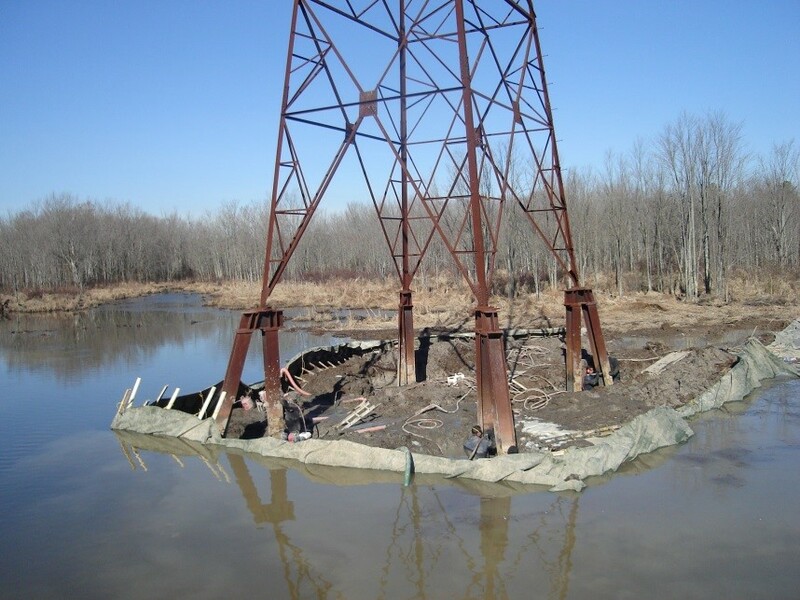 A total of 36 towers were repaired, with 4 legs per tower, and two steel H-piles per leg, dewatering the construction area, replacing the damaged and structural steel through a phased splicing procedure, and then encapsulating the repair in an epoxy filled fiberglass jacket.